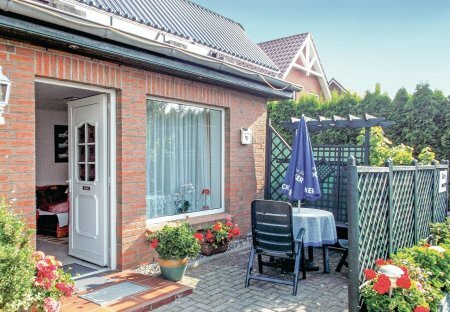 Rent apartments and houses in Warnow-West, Germany. 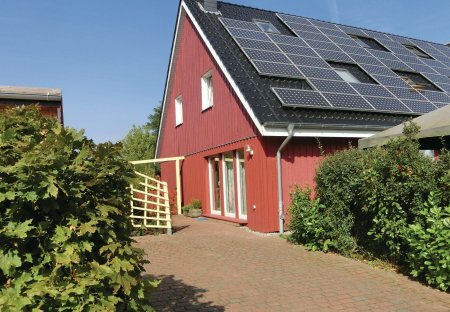 This exclusive semi-detached duplex home is located near a protected country reserve situated 10 km south of Rostock. The landlord lives on the other side of this home. Enjoy your holidays in one of the earthly log cabins (Finnhütte), not far from the sea. The massive Finnhütte consists of two levels and has a living area and sleeping area.